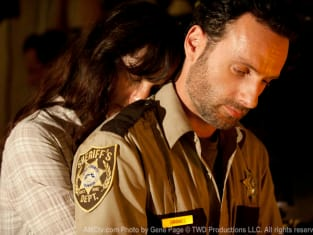 Rick: Asking us to leave. You need to reconsider. If you saw how it is out there, you wouldn't ask. You're a man of belief. If you believe anything, believe that. Hershel: You're putting me on the spot. Rick: Well, I mean to. There is nothing easy about taking a man's life no matter how little value it may have. But when you get it done, you have to forget it. I guess I haven't quite got that last part down. Good thing we didn't do anything stupid like shoot it. Permalink: Good thing we didn't do anything stupid like shoot it. Are you putting them away? Permalink: Are you putting them away?